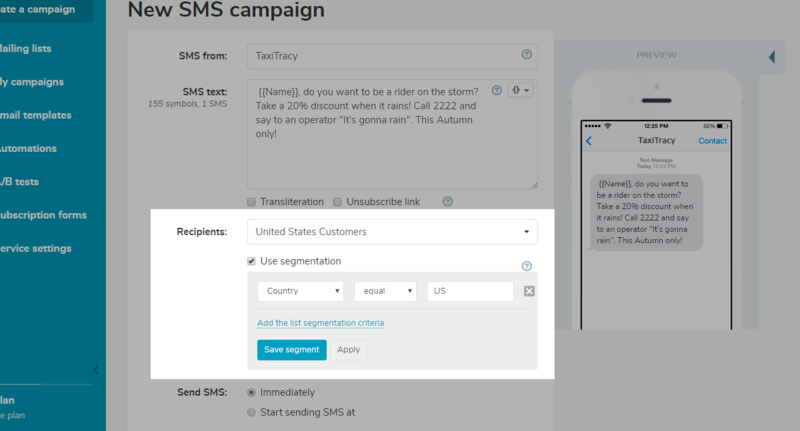 A personalized text message is an SMS created using subscribers’ data: time, age, country, gender etc. for the sake of providing them with more valuable offers and news at the right time. SendPulse makes it easy to send personalized messages with its texting functionality. Shows significant results. SMS personalization is one of the most engaging tools in marketing with open rates of 98%, according to Gartner. Builds trustful relationships. People have a feeling of humane, non-computer communication when they receive personalized text messages. A personalized approach is a good foundation for trustful relationships. Helps to provide more value. Personalized text messages provide subscribers with the most relevant information. Relevance is one of the keys to a successful SMS campaign. Creates convenient communication for customers. Communication via text message is instant, so the recipients don’t spend much time on it. Personalized text messages make it easier to turn attention and offer a good deal rapidly. Import phone numbers together with relevant information about subscribers (like country, gender, birth date etc.) Without it, personalization can’t happen. 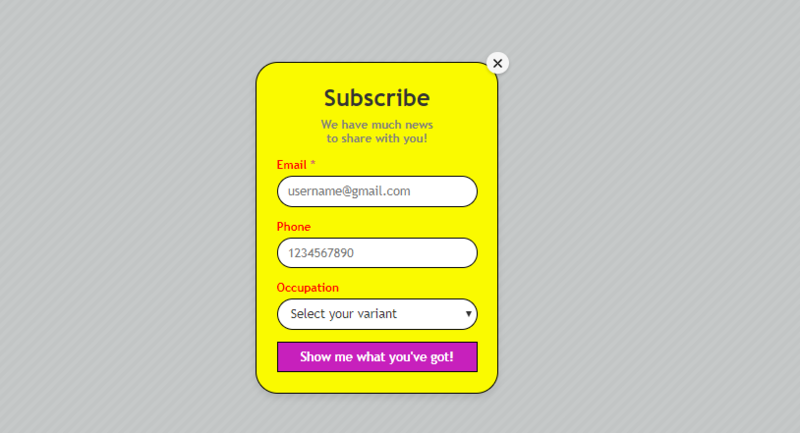 Alternatively, set up a subscription form on your website that contains the necessary fields. 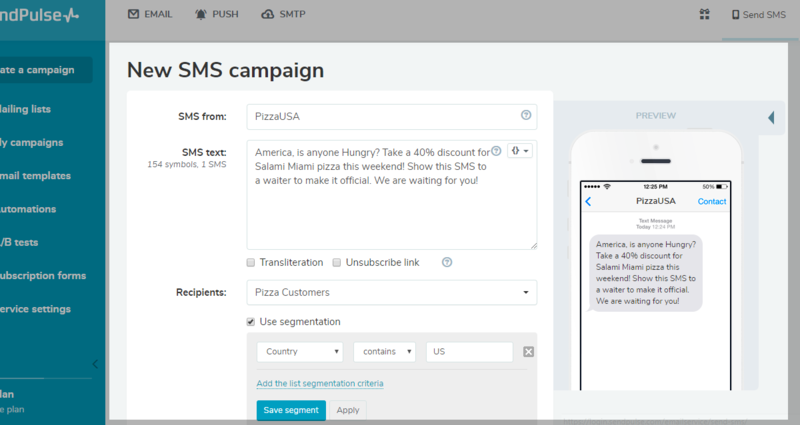 After that, you are able to create an SMS campaign. Mention who is a sender and write the message. There you can add variables directly into the text. A displayed example shows how the text message looks when personalized by name. 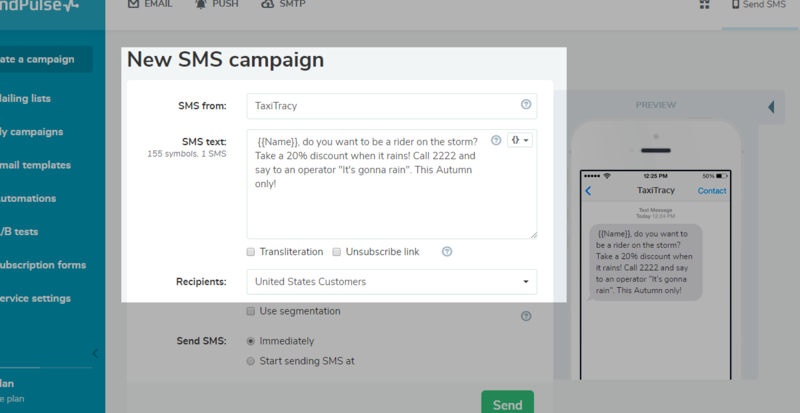 This is only the first step to personalize a text message, read on to discover which tools SendPulse offers for personalization. 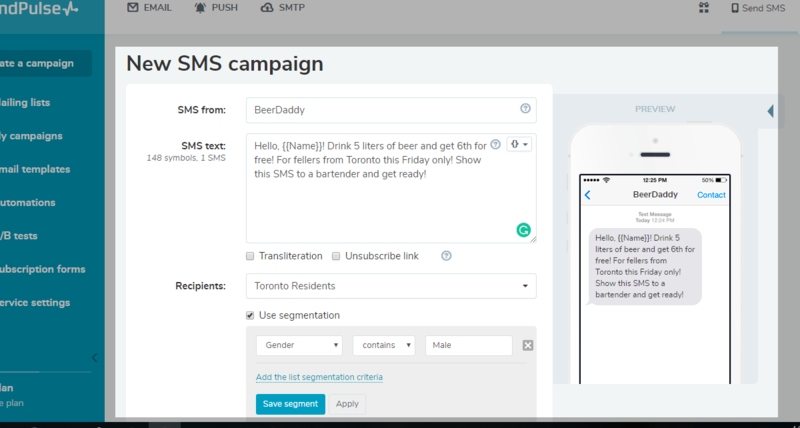 SendPulse enables to create custom subscription forms for free, what gives an advantage in further text message personalization. Ask yourself what sort of data your business might require from subscribers. And then create an effective segmentation on that basis. Underneath the text field, there is a check mark for segmentation. This tool enables you to send different messages to various segments of your audience at once. For more specific segmentation you can use few variables for segmentation, for instance, Gender and Country, at once. Think beforehand. A subscription form on your website or blog is crucial for further SMS personalization success. Ask the subscribers’ names, location, age, etc. and you will obtain needed data for personalization. Make valuable offers for each segment. Come up with special offers for each segment, as the main idea of personalization is to provide as many customers with the most relevant offers as possible. Write a smart copy. You have only a few seconds to capture recipients’ attention. Make smart use of this time: put the offer up front, make it time-sensitive, and ensure it is clear what to do. Consider when to send. Avoid sending SMS on rush-hours and at night. And, if your audience is spread around the globe, mind different time zones. Segment according to the location. Proposals may vary between countries, due to shipping time or availability of the items. Segmentation by location will help you evade unpleasant experiences. Also searched with "Personalized text message"
Rate this article about "Personalized text message"
If you are interested in "Personalized text message" you might be interested in our bulk email service.